January 4, 2019 Fave Finds Post may contain affiliate links, Disclosure here. I popped into Target last week hoping to score some Christmas clearance. But also decided to peruse around with coffee in hand to look at pretty things because that’s what normal people do. Also, I’m on the hunt for a black kettle. No, I didn’t buy all the pretty things (#thestruggle #majorrestraint), still, I’d like to share those finds with you. 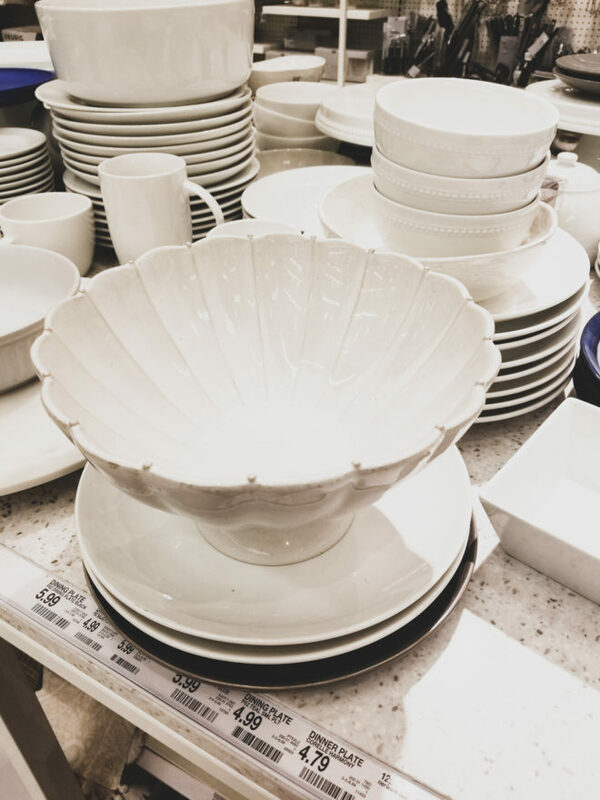 Let’s start with this really pretty scallop-like serve bowl by Hearth and Hand (pictured above). It’s fancy but not too fancy to use for the every day. 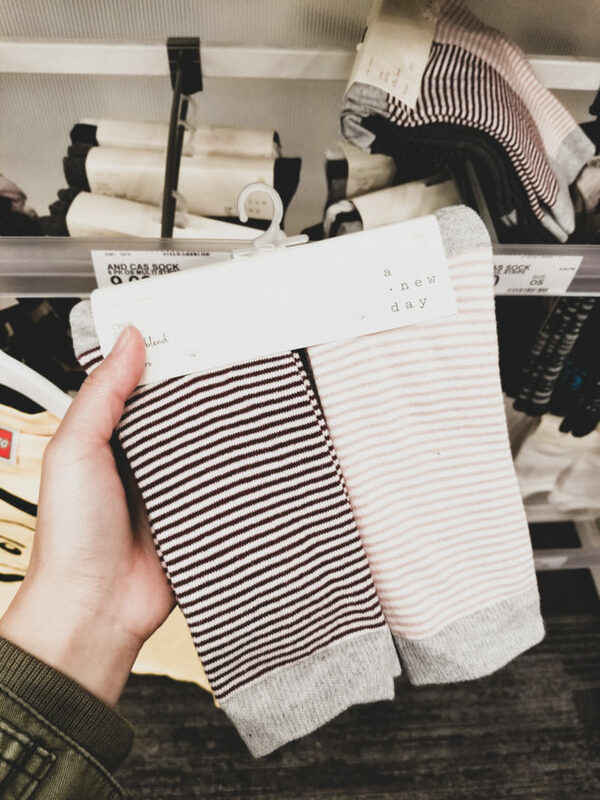 I’m a stripe girl every since and these set of socks just make my heart really happy! 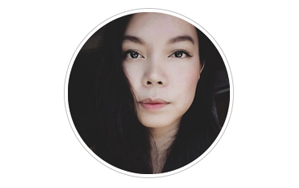 Plus, the colors are just perfectly muted for my taste. 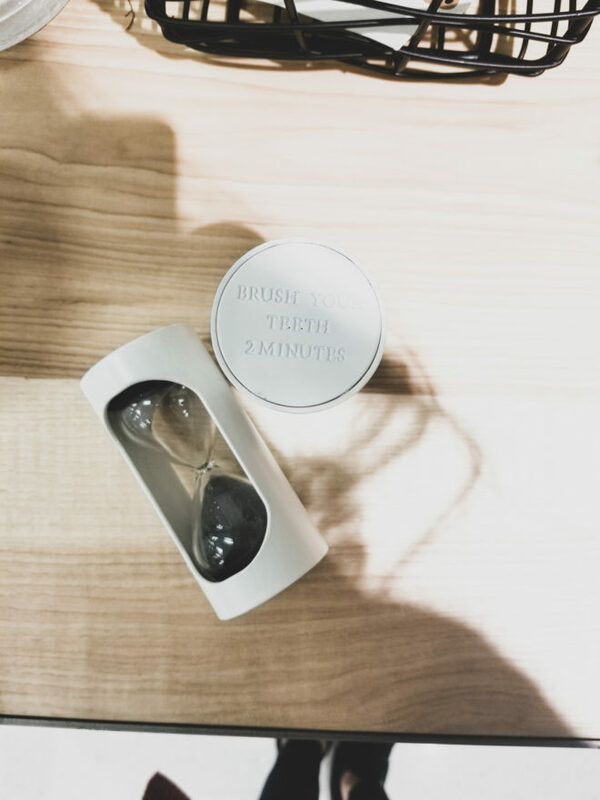 I thought this hour glass might be fun for children when they brush their teeth. My kids just ignore the timer in their electric toothbrush! 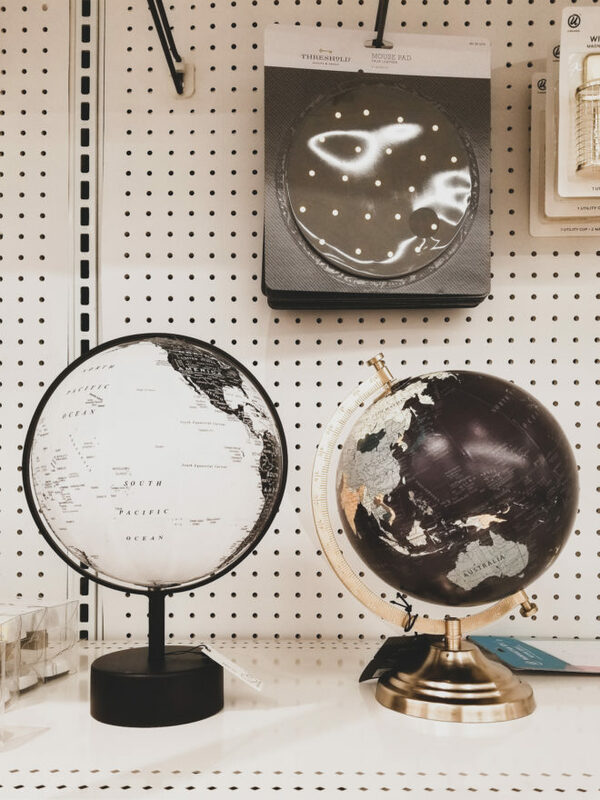 I’ve always been smitten by vintage globes, but these modern ones are equally pretty. These are a lot smaller than the vintage school globes but they’re just the right size perched on a shelf or desk top. 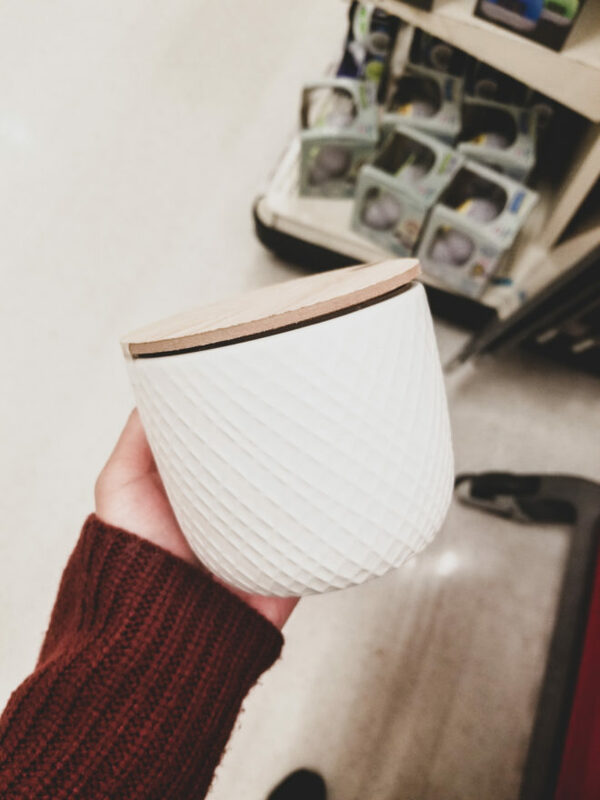 I found the ceramic jar with lid in the dollar spot. Unfortunately, the lid doesn’t close as tight as it should but I think the jar would make a very pretty planter! And another Hearth & Hand number, these acacia salad and salt bowls. I like that each set comes with different wood tones. 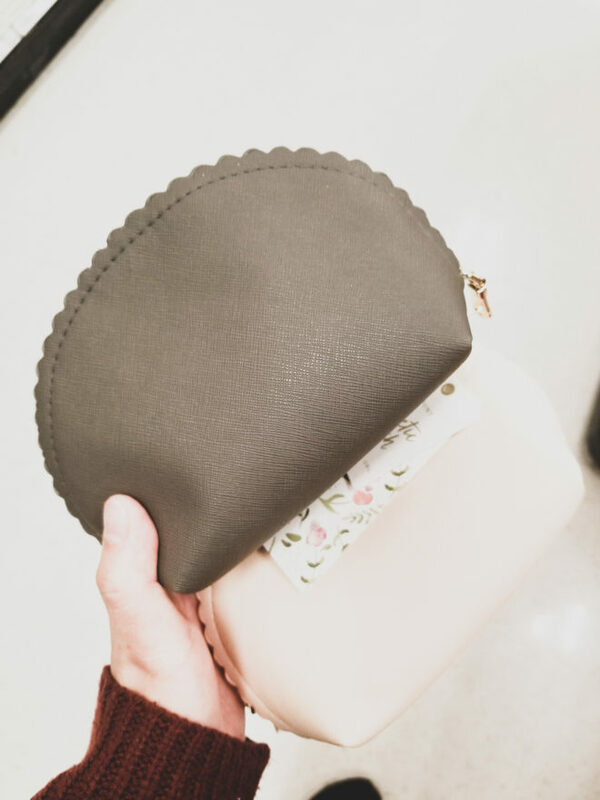 These cosmetic bag is cute. I wish they make a clear one. 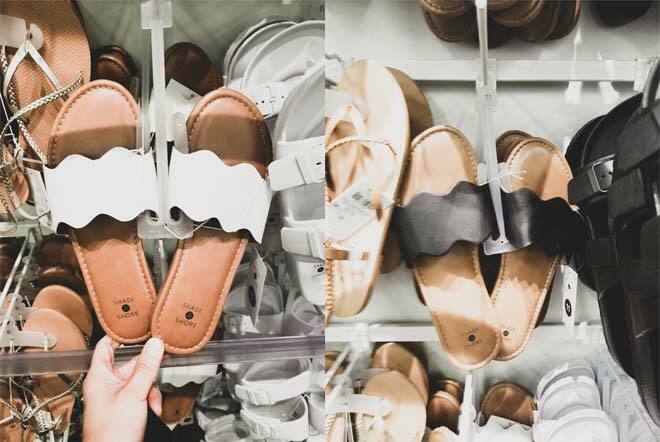 These slides are making me dream of summer and the beach! They come in red, white and black. 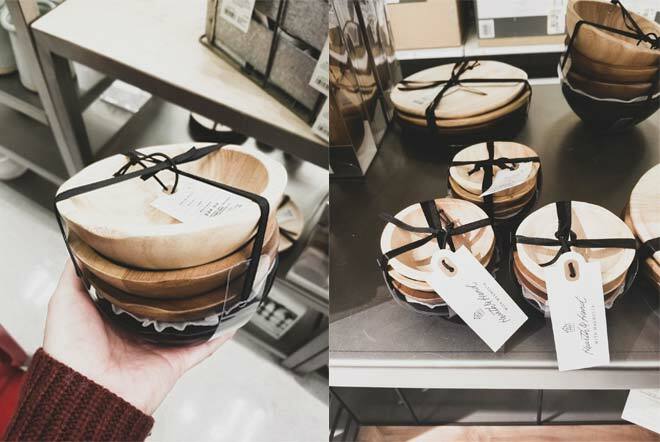 Our Target is newly renovated and the kitchen area now looks like a department store! 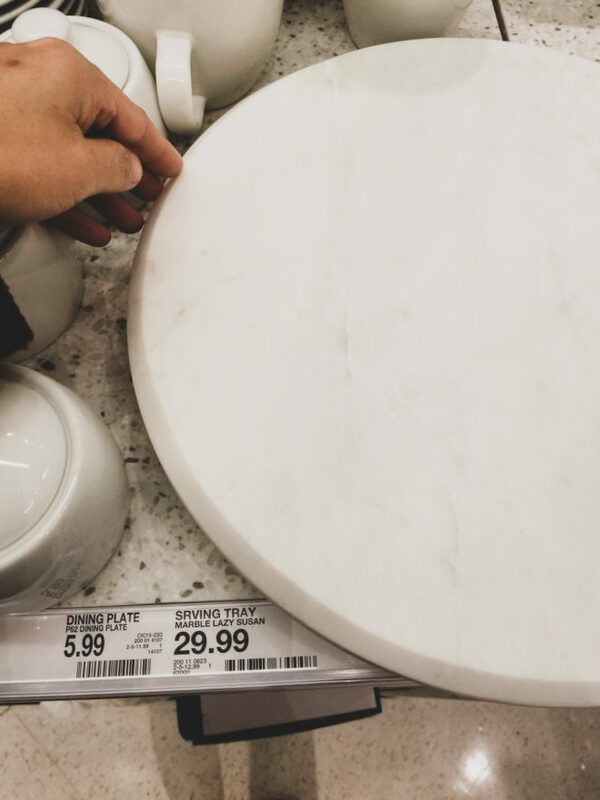 There’s this huge table towards the back with all kitchen things and this marble lazy susan! It turns smoothly and the marbling is very subtle. I walked out empty-handed! How’s that for a Target run? (dusts shoulders). I didn’t find the kettle I was looking for but it was still fun looking at all the pretty things.